Rob Fletcher: Founder of ANGT, "America's Next Great Trainer"
Recently honored for “Outstanding Martial Arts Achievement” by Action Martial Arts at the Tropicana Resort and Casino. Recognized by Dr. Robert Goldman, and selected as member of the Global Advisory Board to the International Sports Hall of Fame (www.sportshof.org) He is a single father to his teenage daughter, a world class competitor, certified black belt instructor, and fitness and self defense expert. Rob holds multiple martial arts titles including Member of the 1995 World Champion (WAKO) US Kickboxing Team and is the 1996 North American Kickboxing Champion. He is longtime performer and competitor at international events including The Arnold Sports Festival and The Olympia Weekend – crushing concrete blocks with his elbows, fists and hands, and splintering Louisville Slugger baseball bats with his shins. In 1992, Rob was given an opportunity to bring martial arts to the forefront of the fitness world beginning at The Arnold Schwarzenegger Sports Festival. Collaborating with Promoter Jim Lorimer and Co-Chairman Doug Grant, that came to fruition and was a huge success. He continued his efforts by meeting with the President of the UFC (Ultimate Fighting Championships) Dana White and Vice President Jim Byrne, as well as Joe and Ben Weider, to bring the UFC to the 2002 Olympia Weekend at The Mandalay Bay Resort in Las Vegas. This proved to be a quantum leap for the martial arts industry. One of his greatest accomplishments came from founding USA Karate and Fitness Center in Naples, FL He has always been driven by his desire and passion for health and fitness, to have a positive impact and to make a difference. He can be found working and training with business owners, schoolteachers, corporate executives, celebrities, professional athletes, law enforcement officials, state troopers, Navy SEALS, Marines and people from all walks of life. He continues his teaching and instruction through seminars, workshops and speaking engagements and ANGT. His focus now is ANGT – America’s Next Great Trainer. Focusing on trainers, coaches and instructors. Emphasizing their roles in society, being a solution to the healthcare crisis across America. He is seeking to reach a larger audience through a variety of programs and platforms which fall under ANGT which include radio, television, and special events. Dedicated to very worthwhile charities and organizations, Rob is actively involved with the following causes: Shelter for Abused Women, St. Jude’s Children’s Research Hospital, American Heart Association, Colleen Giblin Foundation, Autism Awareness, Relay for Life, the Inner City Youth Program, and the Boys & Girls Club among many others. Inspire, motivate, and empower others to live a positive, health, fit, confident and strong lifestyle. Creating, producing marketing and promotion. I love what I do, along with a relentless hard work ethic. Being very passionate, and sincere in my desire to have a positive impact. 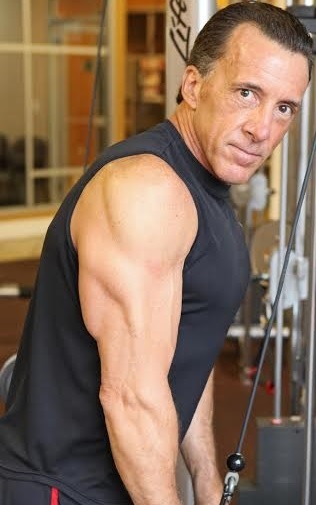 My experience, knowledge, wisdom and trusting relationships built over the 30 years in the health, fitness, sports, and martial arts and entertainment industry. To build ANGT, America’s Next Great Trainer - to become the ESPN of health, fitness, motivation, nutrition and sports performance. With the mission to educate, motivate, inspire, empower and transform millions of lives. One life. One world. Once chance Your Choice. Choose to live positive, healthy, fit, confident and strong. My most precious is my 15 year old daughter Tia. My family, and friends. New York City. Naples, Florida. San Diego, CA and Denver, CO.
America’s Next Great Trainer Reality TV Series - being pitched to network television. ANGT Documentary "The Winning Factor" One Life. One World. One Chance. Your Choice. ANGT TV online - a network of sponsored channels dedicated to health, fitness, motivation, sports performance featuring experts, trainers, coaches and instructors. ANGT retail, products and merchandise. Empowering, and inspiring others through health and fitness. Reading, writing, producing, and speaking. To motivate others to believe in themselves, never give up - ever! Work hard, follow your dreams, pursue your passion, inspire others.